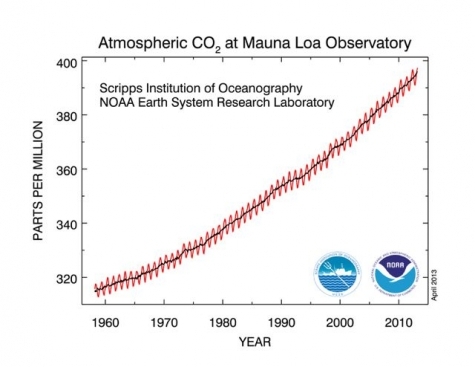 No humans have ever existed in a world with CO2 levels this high. CO2 levels were around half as high for all of human history. They started jagging up around the 60’s and we’re still pumping out more and more every year.